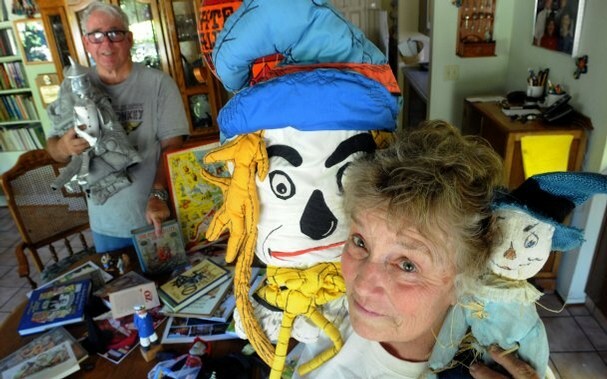 Die-hard ‘Wizard of Oz’ fans collect pieces of cherished story After serving as chief deputy agricultural commissioner of Ventura County all day long, Susan Johnson loved to escape to a magical place at the end of the day. No tornado necessary. All she had to do was crack open one of her Wizard of Oz books. “I’m the only person I know who can talk about the noncoastal zoning ordinance in one conversation and then go talk about the Wizard of Oz,” Johnson said. The now-retired agriculture official is among about 600 members of diehard Oz fans called the International Wizard of Oz Club. “Oz” Musical by L. Frank Baum Show (it’s NOT “Wicked”) The New American Folk Theatre will present the world premiere musical, “The Marvelous Land of Oz,” featuring music, book and direction by Anthony Whitaker and choreography by Jamal Howard. The show, running May 10 – June 2 at The Den Theatre, 1333 N. Milwaukee, is based on the children’s novel of the same name by L. Frank Baum, the man behind “The Wizard of Oz.” According to Whitaker, this Oz book was adapted as a stage production that premiered at Chicago’s Garrick Theatre and “was later produced as a short silent film as part of L. Frank Baum’s Fairylogue and Radio Plays — an early ‘multi-media’ traveling production produced by Chicago’s Selig-Polyscope film studio, utilizing live actors, glass slides, hand-colored silent film and even Baum, himself, as the narrator.” New American Folk Theatre’s original adaptation of the book, devised for family audiences. aims to bring the experience of the Fairylogue and Radio Plays back to life, and will employ various puppetry styles, including shadowplay, along with live actors. Wizard of Oz works its magic on Heritage Square Held in the 1876 Perry Mansion, the multi-media exhibit showcases 100 works of art from a diverse group of artists – including Rick Baker, Drew Struzan and Dave Dorman – and features illustrations, paintings, sculptures and full-sized recreations. Artists were inspired by the imagination of L. Frank Baum and illustrator W.W. Denslow who published “The Wonderful Wizard of Oz” in 1900 as well as the classic 1939 MGM film starring Judy Garland. 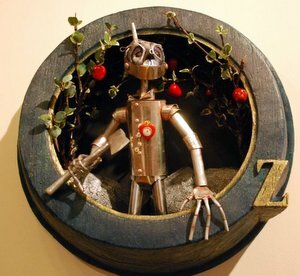 In addition, the exhibit displays rare editions of the original Baum books, concepts and artwork from various Oz-themed film and TV projects. Guests can check out a historical prop from the MGM movie – a tip from a spear used by wicked witches’ guards near the climatic end of the flick. Judy Garland, Is That You? – A Review of The Legend of Oz: The Wicked West At the end of the day, this book’s greatest accomplishment may be just how naturally it made most of the classic Wizard of Oz elements fit into a western story. Granted, not everything goes off without a hitch. But I opened The Wicked West expecting a lot of eye rolling, and did almost none. Most of the Oz elements we know are stylized to fit this world, and the ones that don’t necessarily fit are changed, mostly in positive ways. For instance, I loved this book’s take on the Emerald City (I won’t spoil it for you), as well as the idea of Dorothy using ruby bullets. Risë Stevens, 99, voice of Glinda the Good Witch in the animated film “Journey Back to Oz” , Is Dead Risë Stevens, the internationally renowned mezzo-soprano who had a 23-year career with the Metropolitan Opera, where she practically owned the role of Carmen during the 1940s and ’50s, died on Wednesday at her home in Manhattan. She was 99. The Wizard of Oz follows the Yellow Brick Road onto iPhone, iPad After its launch on Facebook a few months ago, Spooky Cool Lab‘s The Wizard of Oz has now made the journey to iOS, bringing the iconic film to life on a new series of devices. The whimsical city-builder contains the same immersive gameplay as found in the Facebook original, along with Facebook connect, Game Center achievements, and much more. 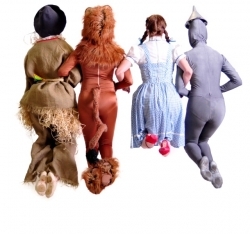 Charlotte Youth Ballet’s The Wizard of Oz It all starts on a small farm in Kansas – a little girl, her beloved dog Toto and one gigantic storm… Join the company this spring for the Charlotte Youth Ballet’s performance, The Wizard of Oz! An original ballet created by Gay Porter with music by the late Loonis McGlohon, this spectacular event showcases Charlotte’s premier ballet talent with professional, international guest artists. Marena Perez and Jose Rodriguez, principals of the Ballet National de Puerto Rico, will delight audiences with their presence. Also joining the cast are Aureo Andino and Odemar Occasio from the Ballet National de Puerto Rico, Michael Crawford (NYC) and Charlotte’s own Hardin Minor of OMIMEO. ‘The Wonderful Wizard of Oz’ gets an edgy new look If the Raimi movie has little purpose other that to dazzle us with visuals (the last resort of a filmmaker with nothing to say), “The Wonderful Wizard of Oz” is visually dazzling for a different reason: Featuring new illustrations by Michael Sieben, a writer and illustrator for Thrasher magazine, it’s an attempt to rethink the “Wizard” — or, more accurately, to provoke us into seeing it anew. Commentary: The not so great and powerful Oz In the 14 years that she spent winters with the Baums, Frank’s mother-in-law gave him the blueprint for the land of social justice he created. As he was telling the stories of Oz to his four sons, Matilda was writing” Woman, Church and State,” her magnum opus, which opens with a chapter on the “matriarchate,” an egalitarian value system resting on creative female authority. Wandering through the pages of the 14 Oz books, you visit the matriarchal world Gage spent her life trying to create, where women are equal to men; everyone has what they need and gives what they can; morality exists outside the walls of a church; diversity is celebrated and women maintain the peace. This visionary world, unfortunately, is not reflected in the thin plot, the one-dimensional characters and their shallow interactions in the new film. The Unbeatable Wizard: ‘Oz’ Tops Box Office for Second Week “Oz: The Great and Powerful,” from Walt Disney Co., was the most popular film in the U.S. and Canada for the second weekend in a row, grossing an estimated $42.2 million. The relatively modest 47% drop from its opening weekend indicated good word-of-mouth for the $200 million-plus production. 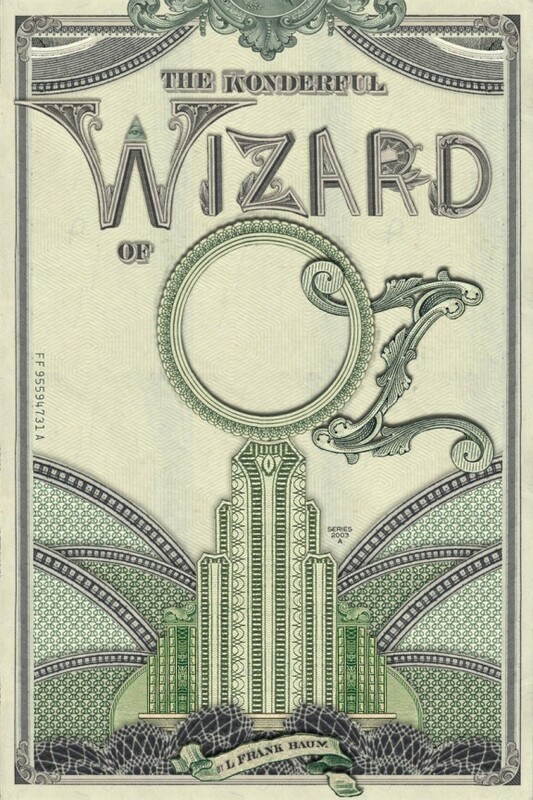 “Oz” has now collected a total of $145 million domestically, putting the picture on a good path toward profitability. We’re Not In Kansas Anymore: Music Of The Wizard Of Oz Since it was first published in 1900, L. Frank Baum’s classic novel “The Wonderful Wizard of Oz” has been adapted for stage and screen a countless number of times. But that hasn’t seemed to diminish the story’s popularity. The latest iteration, Disney’s “Oz the Great and Powerful,” brought in more than $150 million during its opening weekend. Along with those many adaptations has come a great deal of music – some of which has become just as classic as the story itself. Joining us with some of those songs is Wizard of Oz historian John Fricke. Oscars flashback: Did ‘The Wizard of Oz’ wow voters? In addition to Best Picture, “Oz” was nominated in five other categories: Best Color Cinematography,(Harold Rossen), Best Art Direction (Cedric Gibbons, William A. Horning), Best Special Effects (A. Arnold Gillespie, Douglas Shearer), Best Music, Original Score (Herbert Stothart) and Best Original Song (Harold Arlen, E.Y. Harburg) for the oft-recorded “Over the Rainbow.” “The Wizard of Oz” turned Judy Garland into an overnight sensation, and she was rewarded for her efforts with a Munchkin-sized Juvenile Oscar, presented to her by frequent costar Mickey Rooney. It was the only Oscar statuette Garland would ever receive, despite bids for Best Actress for “A Star is Born” (1954) and Supporting Actress for “Judgment at Nuremberg” (1961). A Literary History Of Oz As an inspirational aside to struggling writers who don’t happen to be 22-year-old wunderkind: Note that Baum—who ultimately gave us one of the most beloved stories of all time—wrote his first book (let’s not count the instructional volume on chicken rearing he put out when he was 30), at the age of forty-one. This after years spent raising fancy chickens, starting a poultry journal, running a variety store, selling fireworks, and editing a magazine about department store window displays. 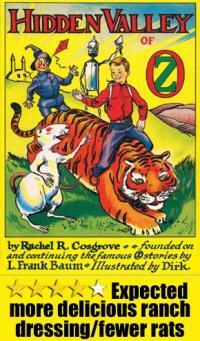 The first of his fourteen Oz books was published when he was 44. Baum wrote a total of fifty-five novels (fourteen Oz-related and the rest less-successful fantasy and fairy tales), more than eighty short stories (including six Little Wizard Stories Of Oz for younger readers), and an untold number of stage plays, poems, and odd tomes about stamp dealing, poultry, and decorating windows. It’s never too late to chase the dream. What ‘Oz’ Owes To Early Radical Feminism Frank Baum was unusually well-connected to one of the more radical figures in early American feminism. He’d married a woman named Maud Gage, whose mother, Matilda Joslyn Gage, was a feminist who worked alongside Susan B. Anthony and Elizabeth Cady Stanton. But Matilda Gage was more than a simple suffragette or birth control activist; she was a philosopher and a theosophist as well as a historian. She believed in reincarnation, and developed an entire theory that “man” had suppressed traces of an earlier history of matriarchy, particularly among First Nations people. James Franco: The Cynical Wizard of Oz Will pop culture ever tire of this trope? It’s a rehash of the end of The Dark Knight, and like the similarly eye-popping Life of Pi, it’s an attempt to illustrate the practical use of religion. Lies are like witches, and a good one yields salvation. This is the note we end on (while keeping things entirely open for a sequel, which is apparently already happening) and it’s just like when Dorothy Gale realized she needn’t look any further than her back yard to find her heart’s desire. This idea was already waiting for us in the multiplex. That we already knew all of it underscores how unneeded this mildly enjoyable revenue generator of a prequel really is. 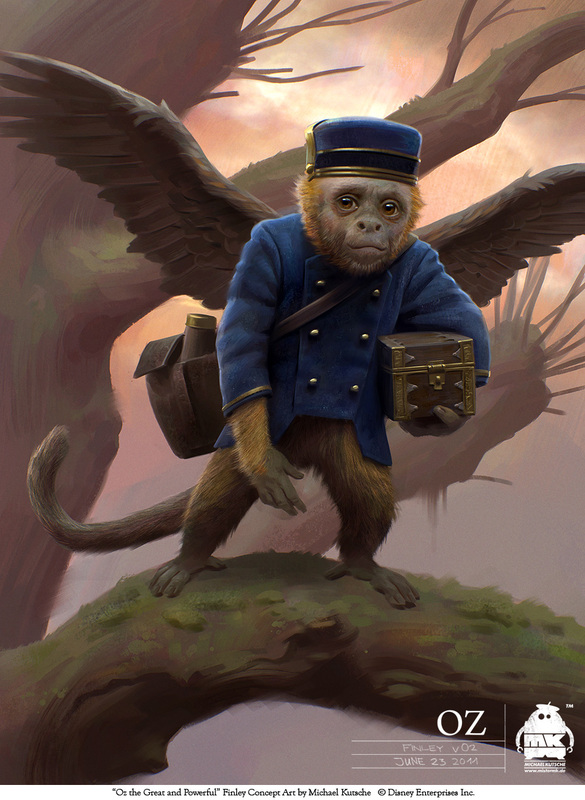 Gorgeous OZ: THE GREAT AND POWERFUL Character Designs & Costume Illustrations Come check out some rather enchanting artwork created by, Michael Kutsche and Dawn Brown, for Sam Raimi’s Oz: The Great and Powerful. Michael focused on character designs and costume illustrations, while Dawn developed art for the film’s sets and props. Con Movie Review: Oz The Great And Powerful (2013) Oz continues the lame trend begun by the Star Wars prequels–it de-fangs one of cinema’s greatest villains by revealing them to be, at heart, a lovesick fool. Pro Movie Review: Oz the Great and Powerful (2013) The story, and the lesson, will stick with you for years. I didn’t want the film to end, which is how I felt after seeing The Wizard of Oz as a child. All the characters of Oz followed me home and my imagination was twisted up as I wondered about the possibilities for many more adventures for Oz. MOVIE REVIEW: Prequel to “Wizard of Oz” has all the magic, charm of a Disney production This being a Disney film, I probably don’t have to point out that it’s full of unfortunate, old fairytale tropes good people are beautiful, evil people are ugly (or get turned ugly by the end); you need a man to lead an army; women with real power are evil, etc. For most viewers, the charm of the film will likely overwhelm any negative reaction to these common issues, but for some they’ll be dealbreakers. Life Lessons From The Wizard of Oz That Every College Student Should Adhere To In Oz, there are two Wicked Witches and only one good one, so hope for peace in the Emerald City does not seem likely. But with the help of her newly-minted friends, Dorothy is able to melt the Wicked Witch of the West and save the citizens of Oz. The competition to get the best grades in class, the most coveted internship positions, or the highest amount of job opportunities can be intense, but you should never allow that to get in the way of your morals. When given the choice, always be the Glinda and never the Wicked Witch. When someone else does well, let a house drop on that green monster, and be happy for other people, like you would want them to be for you. Just like Dorothy held tight to those ruby red slippers in the time of adversity – you can, too! Player Wins $1,452,799.89 Playing Wizard Of Oz at Margaritaville Casino at The Flamingo in Las Vegas At 11:30 a.m. on Saturday, March 9, 2013, Gordon was playing slot machine Wizard of Oz – Journey to Oz located in Margaritaville Casino at The Flamingo in Las Vegas when the Top Progressive Jackpot hit and he was delighted to see that he had become an instant millionaire by winning $1,452,799.89.